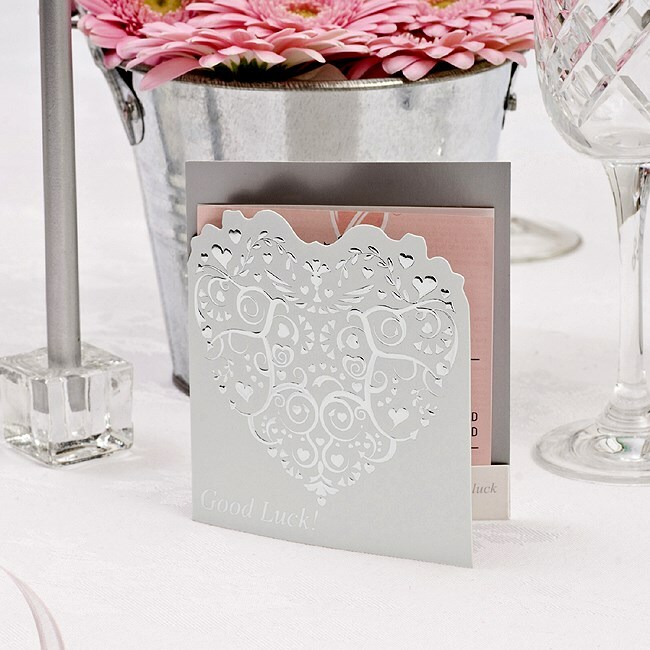 Share some wedding day good fortune with your guests with these lottery card holders, a chic white and silver slip perfect for holding lucky tickets. Featuring a timeless colour palette, the holders have an intricate silver heart on the front, alongside text reading ‘good luck’. A fun addition to your table settings or favour bags.